Boot camp or day care? 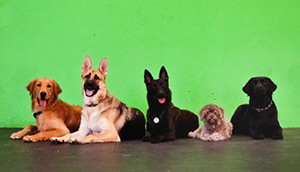 A Positive Training Experience in a Fun Environment - SmartyPaws. 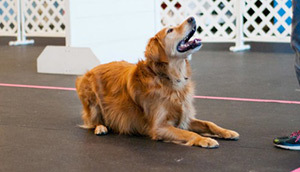 Las Vegas dog training on dog-friendly rubber matted flooring and climate control via A/C or swamp coolers! While some things have changed at SmartyPaws, some things remain the same. Our commitment to the belief that our canine companions deserve to live a stress free, stimulating life that we can enjoy with them. SmartyPaws continues to provide the map to put you and your dog on the correct path!!! The training facility is conveniently located at 4161 N Rancho Dr. Ste 120, Las Vegas, NV and also 4175 N Rancho Dr. Ste 110, Las Vegas, NV and is easily accessible from both I-95 and I-215. Our New Southwest location at 4544 W. Russell Rd. is 1 block East of Decauter Rd and 1 mile West of I-15. We are located in the Diablo Industrial Center. You will find us on Google Maps. Starting March 1st, 2019 private training sessions will be $125/hour, or a 4 private session package for $400, or $80 per hour at the SmartyPaws training center. At SmartyPaws both owners and dogs will learn new skills to use throughout life, keeping the dog active, and choosing correct activities for its energy! 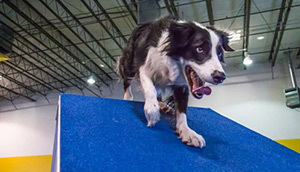 Our goal for all training - whether agility, behavior or obedience - is still to provide training tools in a fun environment so both dog and owner bond through a positive training experience.